One of the tools used by the Yishuv was offering ‘Zionist tours,’ i.e. creating itineraries that combined visits to religious Jewish sites - both biblical and non-biblical (for example ancient synagogues and/or Rabbis-saints’ tombs) - and to non-religious sites, mainly the newly-established agricultural settlements. This combination would confirm the enduring and uninterrupted Jewish attachment to Eretz Israel and, at the same time, would demonstrate the progress being made by Zionism in Palestine. For example, in 1922, the Department of Trade and Industry of the Palestine Zionist Executive published a 32-page pamphlet, titled Eretz Israel for Jewish Tourists. This one was intended to provide tourists with useful information, from transportation from Europe, to the best traveling season – the months between March and June – to travel expenses, passports, and currency. But the majority of the book (22 out of 33 pages) was dedicated to tours. As stated, the selection of itineraries was considered very important in increasing support for Zionism among Jewish travelers. It is not a coincidence that the suggested itineraries included visits to the Jewish agricultural settlements as a crucial part of each tour. More specifically, the book suggested three types of tours: 1) Jerusalem, Judaea and Samaria; 2) Jaffa and the Coastal District; 3) Haifa and the Galilee. All tours were supposed to last from a minimum of 4 days to a maximum of 17 days, and they were entirely ‘Jewish,’ which meant privileging Jewish ancient and modern sites over Christian and Muslim ones. 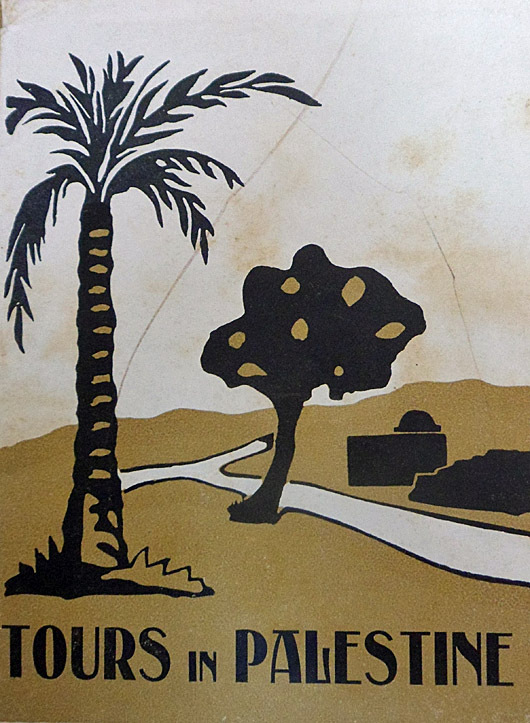 In 1925, the Zionist Tourist Information Bureau (ZTIB) was established. As Cohen-Hattab states, it was financed and run jointly by the Palestine Zionist Executive, the Jewish National Fund and the United Israel Appeal. It had three main tasks: contacting tourists potentially interested in visiting Palestine; dealing with the visitors while they were in Palestine in order to cultivate their support of Zionism; connecting them with Zionist groups and organizations once they returned home, so that they could reciprocally influence and reinforce each other. In this way, the ZTIB was to become the most important tool of the Zionist movement in promoting Jewish tourism, while concurrently generating propaganda that targeted Jewish communities worldwide.